New Hope Valley - Pretty deck, flat backyard w/sport court and wired workshop. MLS#2247650. 351. Enjoy all the amenities Carolina Arbors has to offer and so much more! MLS#2247804. 2017. The Grotto - Large screened porch overlooks Paver stone patio and tree lined backyard. Book your showing today! MLS#2247675. 4542. Willowhaven - New roof, siding, 17 windows, 4 sliding glass doors & two water heaters. MLS#2247799. 447. 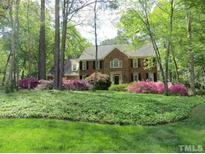 Low HOA dues, minutes from Hollow Rock Swim & Tennis. 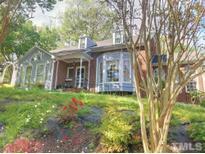 Showings: 10:00 am 4/11 MLS#2247588. 269. Large walk-in closet and much more.No sidewalk.Enjoy outdoor living with covered porch and deck! Tobacco trail nearby. MLS#2247621. 64. Not Perfect – Add you TLC. See Disclosure. MLS#2247795. 318. Chadsford - Minutes to the best shopping around, bike trials, a dog park, restaurants & more. MLS#2247577. 4542. Freshly painted throughout with new flooring in Kitchen, Breakfast room and all new carpet. 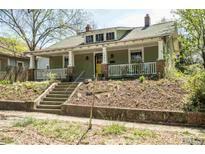 MLS#2246968. 178. Chadsford - * freshly painted interior * new carpets * hardwood floors * crown moldings * decorative trim work * maple cabinets * fully applianced kitchen * exterior vented range hood * open floorplan * gas log fireplace * walk-in closets * garden tub * fully fenced back yard * low HOA fees * hike on nearby American Tobacco Trail! MLS#2247788. 3048. 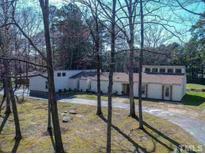 Easy access to the Eno River trails - within minutes to Duke and so much more. Lovely established neighborhood! MLS#2247270. 4542. 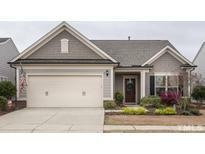 Canterbury Estates - Act fast on this one before it's gone! 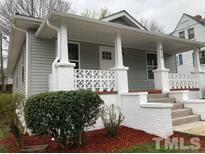 MLS#2246333. 1128. You don't want to miss this one! MLS#2247691. 2499. 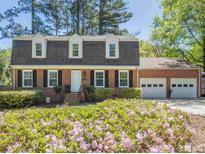 Cute ranch style home conveniently located minutes from downtown Durham, RTP, Hwy 70/ I-85. Won't last long! MLS#2247713. 4629. $1,500 Closing Costs offered for Buyer with Acceptable offer! MLS#2247702. 2499. Carriage Hill - 3 car garage, office and flex space. Additional features available upon request! 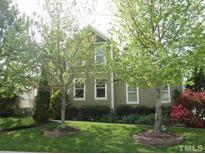 MLS#2247466. 3081. Restaurants, golf, lake, shops & walking trails nearby. MLS#2247431. 2898. Restaurants, golf, 12-acre lake, shops & walking trails nearby. MLS#2247435. 2898. Restaurants, golf, 12-acre lake, shops & walking trails nearby. MLS#2247433. 2898. Restaurants, golf, 12-acre lake, shops & walking trails nearby. MLS#2247430. 2898. 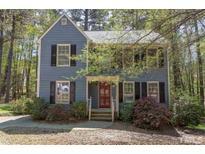 Carillon Forest - Kitchen open to 2-story family room & break area that looks out to screen porch w/deck lots of trees on property. 1st floor master. MUST SEE! ! MLS#2247561. 347. Known for their energy-efficient features, our homes help you live a healthier and quieter lifestyle while saving thousands of dollars on utility bills. MLS#2247464. 3037. Autumn Ridge - Easy access to Downtown Durham & Chapel Hill! MLS#2243946. 350. Magnolia Place - Please remove your shoes, come and see and make it your home. 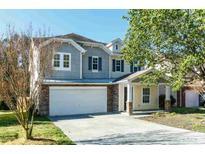 MLS#2247379. 309. 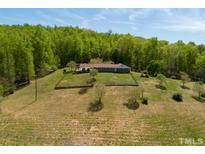 Brightwood Trails - Great location near RTP w/ easy access to I-40, Hwy 98 & NC 147! MLS#2247543. 297.